Park City was a mining town long before it became a ski destination. It was once deemed a ghost town. That’s right. Park City, Utah, now one of the most buzzing destinations around, has been through some rough-and-tumble times. The now resort town was once the site of a silver mining boom more than a century ago. It’s been a fascinating path for this resilient 19th century town, as it survived explosions, flooded mineshafts, a town-wide fire, snows heavy enough to collapse buildings, and a devastating downturn in silver prices that finally deflated the town’s main economic driver in the mid-1900s. It took determination for the town to push past every natural and economic disaster possible—including being officially designated a ghost town in 1951—and ultimately become the hotspot it is today. 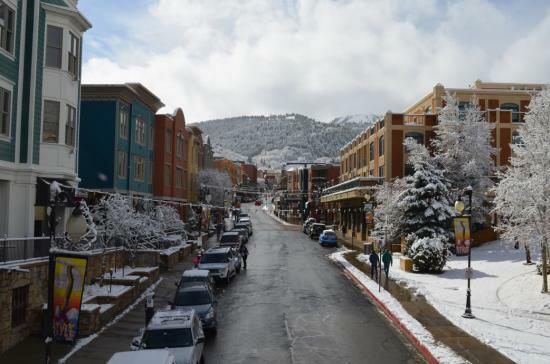 Park City has gone from ghost town to center of the entertainment universe when it hosts the Sundance Film Festival each January. The town now may be known for the Sundance Film Festival, but there remains an element of good old-fashioned grit in Park City. Locals work their tails off living the mountain-town life, brushing snow off the lift chairs, driving shuttle busses, waiting tables, staffing outdoor shops, and tuning mountain bikes. It’s still hard work fueling the Park City dream. Park City is now known for some of the best skiing in the world. Skiing had arrived in the area but mainly in the form of ski-jumping by daring young mine workers with a penchant for flight. It was mainly a spectator sport, taking place on the mining hills where tailings dumps made nice launch ramps. One ski lift was installed in Snow Park (now Deer Valley) in 1946 for downhill skiers, but shortly afterward, the local economy hit a terrible downturn. The price of silver dropped so much that it wasn’t worth keeping the mines going—and thousands of people hit the road looking for opportunity elsewhere. Thus, a rock bottom in 1951: the town’s inclusion in a book called "Ghost Towns of the West." But the members of Unified Park City Mines weren’t down for the count quite yet: They studied the feasibility of turning their terrain into a ski resort. Deeming it worth a shot, they applied for a federal loan for the Area Redevelopment Agency and used the funds to build Treasure Mountain Resort. They replaced mining carts with J-bar ski lifts and a gondola, charging $3.50 per day for a lift pass. They struck gold. Visitors logged 50,000 skier days during the first season. 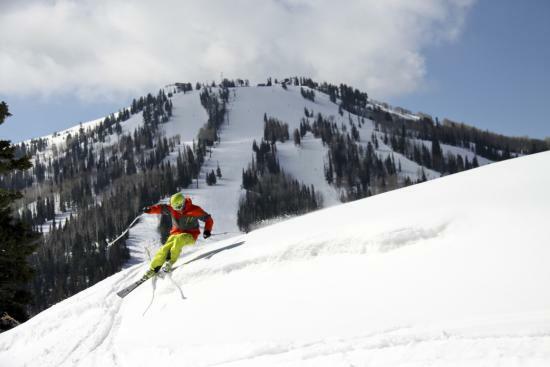 By the mid-60s, the area’s skiing gained increasing notoriety nationally, and people finally started moving to Park City specifically for the outdoor scene. Historic Main Street in Park City. From there, the rest is history: Treasure Mountain and Snow Park, the first two resorts, ultimately became the sites of the town’s current resorts. 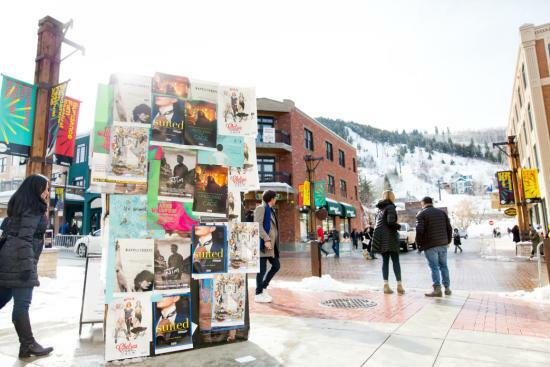 The Sundance Film Festival arrived and thrived, and Park City hosted more than 40 percent of the events in the 2002 Winter Olympic Games. The intrepid miners who breathed life into the place would be proud if they could see it today—a ski and snowboard mecca, home to the United States Ski and Snowboard Association, the U.S. Ski Team, and the Utah Olympic Park (where laypeople can now book a ride on a bobsled). Numerous outdoor gear companies call the place home, and a summertime network of pristine mountain-biking trails crisscross the area when the snow melts. Visitors strolling today’s Main Street are doing more than window-shopping the galleries and swilling microbrews—they’re walking through a monument to local determination to keep this party going, no matter what. And we have to think that if some of those original ski-jumping miners could take a look at today’s terrain parks, they’d be first in line to give the half-pipe a try.